Caroline is the co-founder of Cheese Burgames, a video games studio in Montpellier. She handles there all the external relations: communication, business development, localization and customer support. She also is a co-founder of Push Start, a non-profit association gathering the video games creators of South of France. In 2017, she decides to work for a cause that is important to her: increase the number of women in the video games industry. 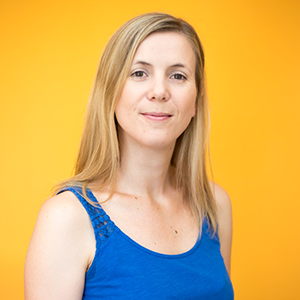 She is now a member of Women in Games France, a French non-profit association, and manage, in Montpellier, positive actions in order to help women dare to join the industry.